I spent a bulk of the evening Saturday sorting the items from my recent 4-Buck Oddball Break. Those packages are ready to mail, except for a couple folks for whom I need addresses (I have contacted you via email). My daughter helped me sort through things, so if you get a little something extra, or if you ended up a card or two shorted, that could be the reason. Actually, I made sure no one got shorted. We had a lot of fun "spreading the wealth" when it came to cards featuring more than one team and the two teams no one claimed (Angels and Tigers). Emily loved being "in charge" of handing out the two unclaimed Topps Coins items. 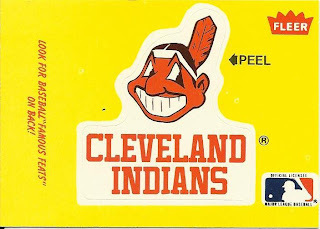 Since I hosted the break, I snagged the Indians. I ended up with duplicates of almost every Tribe item pulled, so there are future giveaway items right there! I have always found it funny that card companies pointed out just how to remove a sticker from the backing. Really!? They didn't think kids knew how stickers worked?? I guess that says a lot, huh? I also pulled a Julio sticker and a Brett Butler to boot! Very nice. From the Swell pack, I managed to get hold of a Jose Cardenal! The last two items are the oversized cards from Topps Fold-outs. There are players on the back of each of these, but have no fear! Everyone got their team and then I even had extras when all was said and done. 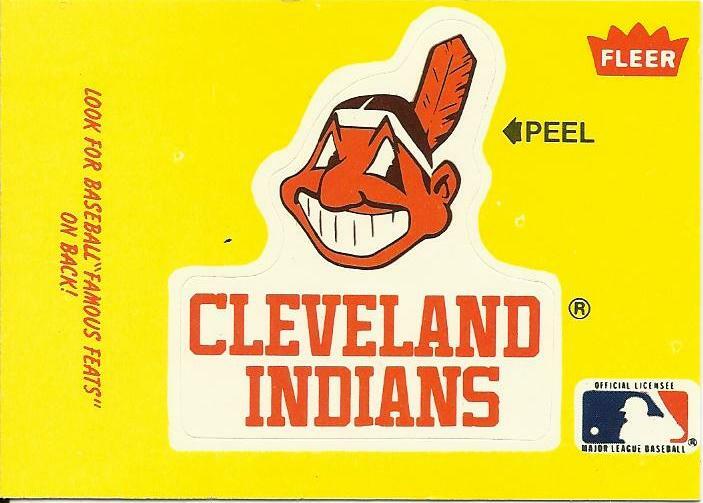 Extras were randomly distributed among the teams featured on the particular card. 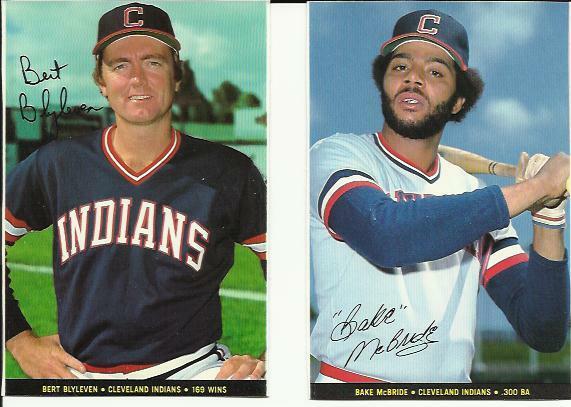 Here, I got Bert Blyleven and Bake McBride! After looking back over the other cards/teams in the oddball break, I think those of you that took a chance are going to enjoy the items you will get! Very cool stuff in there for sure. I haven't checked my indians haul against my collection yet, but I am pretty sure I have crossed a few things off my want list!